Pre- Qualification: Meet with a mortgage broker and find out how much you can afford to invest for your new home. Pre- Approval: While knowing how much you can afford is the first step, sellers will be much more receptive to potential buyers who have been pre-approved. You also will avoid being disappointed when going after the homes you are interested in that may be out of your price range. With Pre- Approval, the buyer actually applies for a mortgage and receives a commitment in writing from a lender. This way, assuming the home you're interested in is at or under the amount you are pre-qualified for, the seller knows immediately that you are a serious buyer for their home. Costs for pre-approvals are generally nominal and lenders will usually permit you to pay them when you close your loan. List of Needs & Wants: Make 2 lists. The first should include items you must have (i.e., the desired bedrooms, bathrooms, square footage,etc.). The second list is your wishes, things you would like to have (Backyard, Pool, additional upgrades,etc.) but that aren't absolutely necessary. Realistically for first-time buyers, you probably won't get everything on your wish list, but it will keep you on track for what you're looking for. 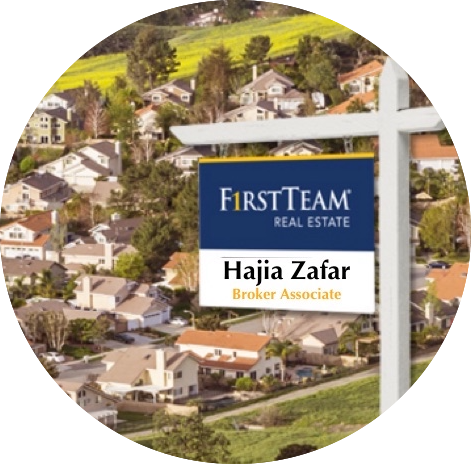 Representation by a Professional: Consider hiring your own real estate agent, one who is working for you and specializes in your needs. - One or more detailed maps with your areas of interests highlighted. - A file of the homes that your agent has shown to you, along with setup sheets and photos. - Paper and pen, for taking notes as you search. - Take pictures to help refresh your memory on individual homes. - Location: Look at potential homes as if you are the seller. Would a prospective buyer find it attractive based on curb appeal, school districts, crime rate, proximity to positives (shopping, parks, freeway access) and negatives (abandoned properties, garbage dump, source of noise) features of the area. - Include inspection & mortgage contingencies in your written offer. - Have the property inspected by a professional inspector. - Check to see that no changes have been made that weren't agreed on (i.e., closing cost, repairs, etc.). All the above may seem rather overwhelming. That's why having a professional represent you and keep track of all the details for you is highly recommended. Please email us or call us directly to discuss any of these matters in further detail.